When the Pacifica debuted in 2004, it was originally a crossover vehicle. Chrysler went back to the drawing board over the following years, and released the new Pacifica as the consummate family minivan in 2017. Two years later, it now offers a premium interior and astonishing suite of technology features. It makes sense to see such an adept family vehicle wear the Chrysler name–Chrysler was among the very first auto makers to produce a minivan, and they’ve dedicated serious research into perfecting the vehicle’s safety and design. The 2019 Pacifica’s value is underscored by stellar fuel economy and a modest price tag. If you’re searching for a fully-stocked family vehicle in the Fox River Valley, we can handle that. At Sycamore Chrysler Dodge Jeep Ram, our staff of automotive experts can help you find the right vehicle to suit your needs. We also have a master-certified sales and leasing consultants that will make the financing process smooth and hassle-free. Call or visit our dealership today to take the Pacifica for a test drive. Sometimes family cars have to accommodate the occasional nap during the ride home. If any travelers start to slip into dreamland, their sleep won’t be interrupted by road noise, as sound-dampening insulation promises a quiet ride. The Pacifica’s plentiful features and high-quality accents have recently earned the vehicle some ecstatic reviews. The 2019 model holds seven with comfortable cloth seats, and drivers may opt for available enhancements like leather seats and heated seats. The spacious cabin has plenty of room for both adults and children, housing four sets of LATCH car seat connections. Brakes and steering are both incredibly responsive, and the minivan takes corners with ease. The Pacifica runs on a 287-horsepower 3.6-liter V6 engine with a nine-speed automatic transmission. Front-wheel-drive comes standard, and the overall ride is enjoyably smooth. The 2019 Pacifica’s gas mileage also stands out in its class. Why Buy or Lease the Pacifica from Sycamore CDJR? 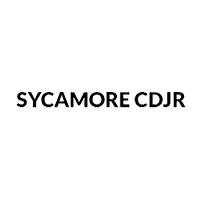 At Sycamore CDJR, we can help you determine exactly what vehicle will best suit your unique wants and needs, whether it’s a car, truck, or sport utility vehicle. Check out our inventory online or visit us at our dealership. Remember to ask us about our new and used vehicle specials and incentives.